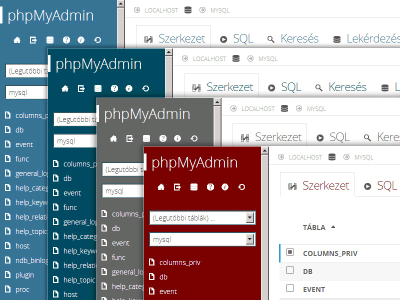 phpMyAdmin just got a new theme. It's available for download on our themes page. As you can see, it also offers four color variants, configurable in it's layout.inc.php file. PS: More details on theme can be found on deviantART. Published on Jan. 15, 2013, 6 p.m.